A Huge and Luxury Unique Villas, Located in one of the most affluent locations of Pattaya City, Unique Villas consist of 4 independent villas designed with a European perspective. Each villa is a two storied building with 3 bedrooms, 3 bathrooms, living area, dining area, with a large European kitchen, completely furnshied, airconditioned and have facilities that include parking spaces, gardens, a common swimming pool and an internet connectivity. New single house for rent 70 sq.wah (Ruenpisa Village), full furnished with gardening.2 bedrooms and 2 restrooms.Air con.and water heater. Teak furniture for living and dining room. Completed set of kitchen.The price could be negotiate. Good environment in the village and modern sport club with nice swimming pool in the project. 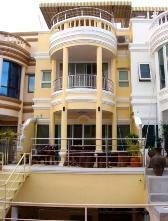 A House in Srirach near Assumption School for Rent. 4 Bed 2 Bath 1 Kit 3 car park for Baht 7000 / a month. Executive condominium for rental. Jomtien Beach. Spectacular ocean views & fully furnished. 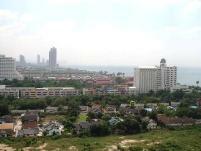 Looking for Real Estate Agents in Pattaya, Jomtien Beach, and Chonburi?